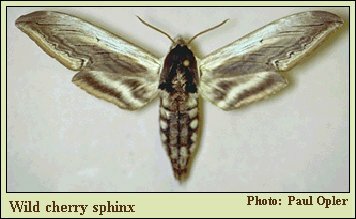 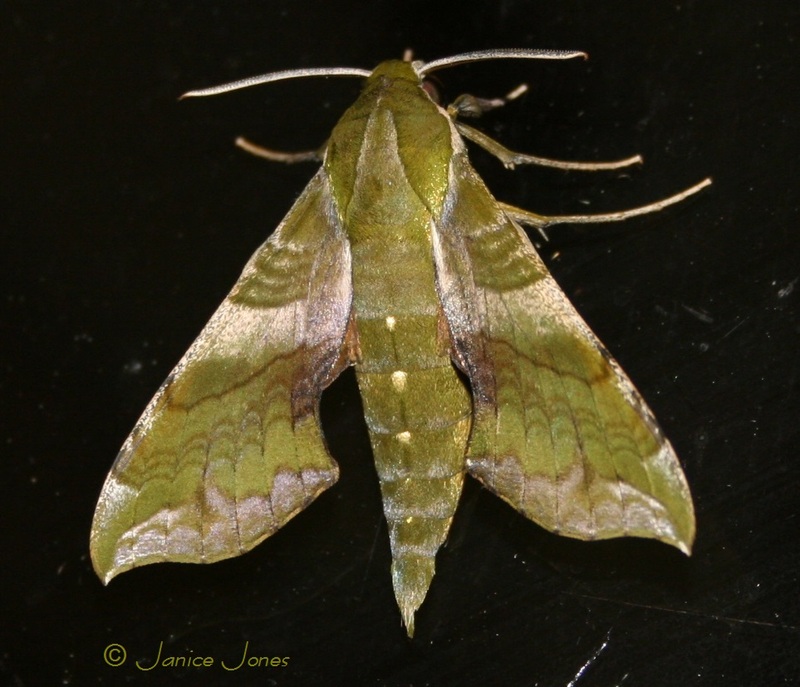 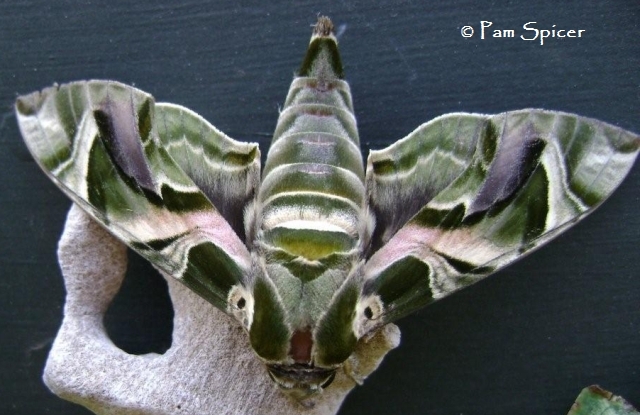 The Sphingidae belong to the Superfamily Sphingoidea. 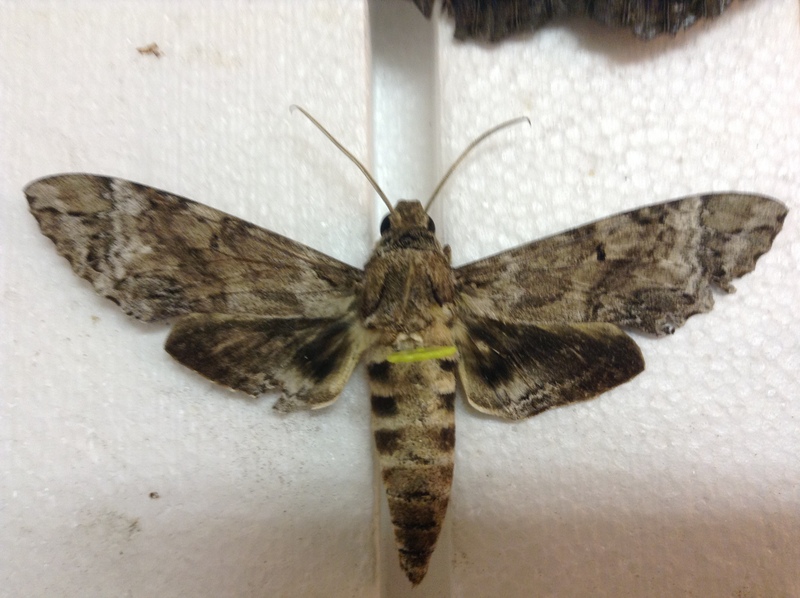 Members of this family are commonly called "hummingbird," "sphinx," or "hawk" moths, and some can be mistaken for hummingbirds. 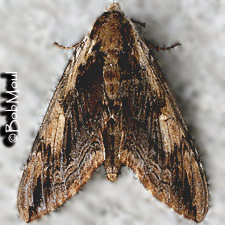 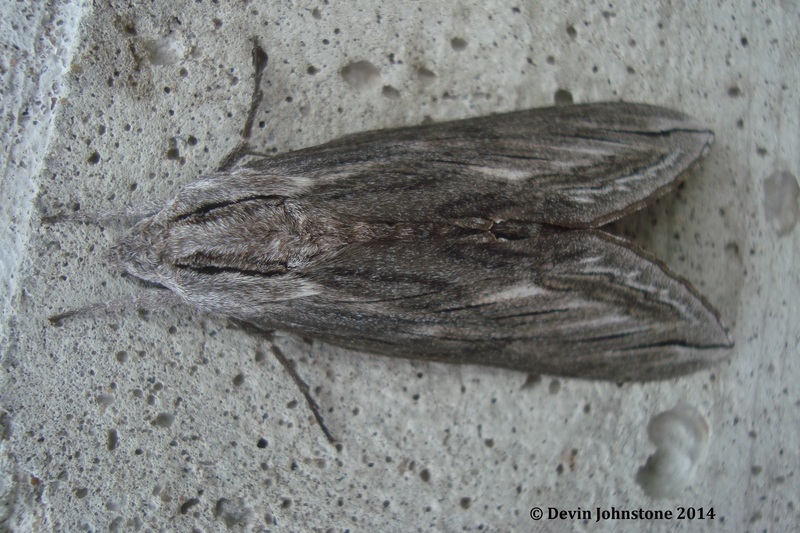 Most are medium to large moths, with heavy bodies; wingspread reaches 5 inches or more in some species. 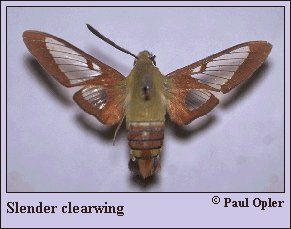 The Sphingidae are strong and fast fliers, with a rapid wingbeat. 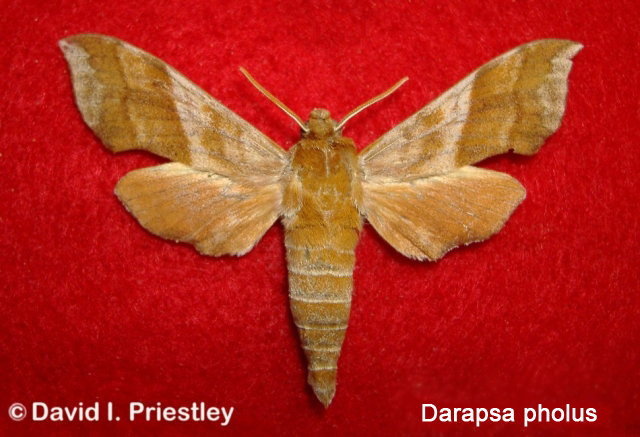 Most species in the group are active at dusk, and most feed much like hummingbirds, hovering in front of a flower and sipping nectar through the extended proboscis. 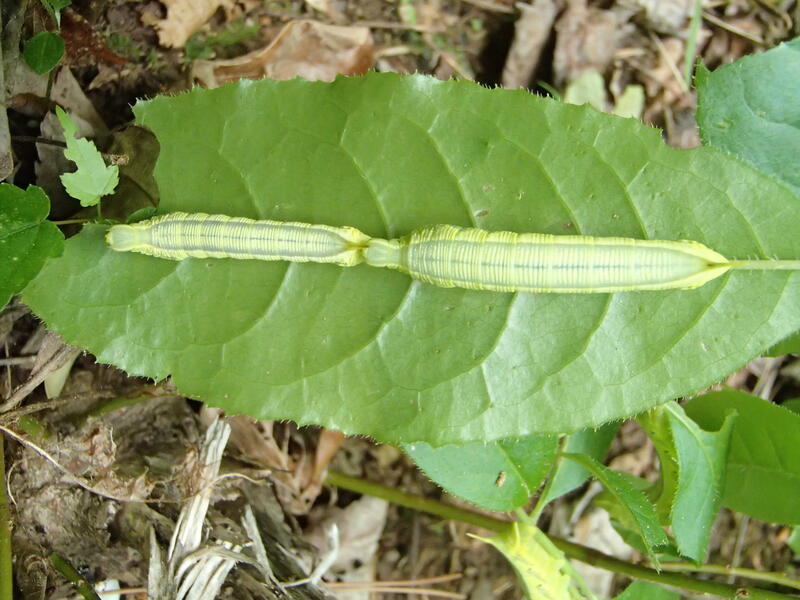 The proboscis rolls up when not in use. 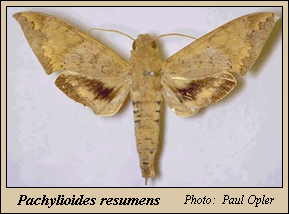 Some species lack scales on large portions of their wings, resulting in transparent or clear wings. 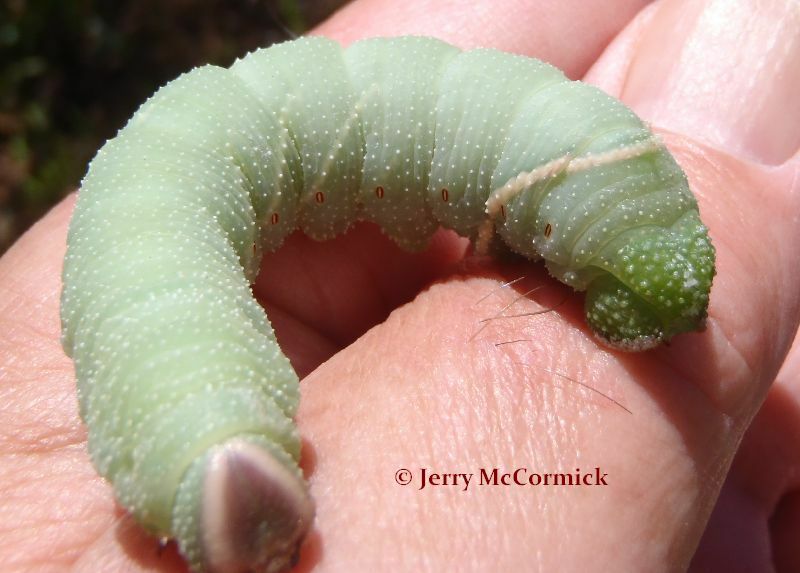 In most species, the larval stage is called a "hornworm" because the caterpillar's posterior end has a harmless hook or hornlike appendage protruding upward. 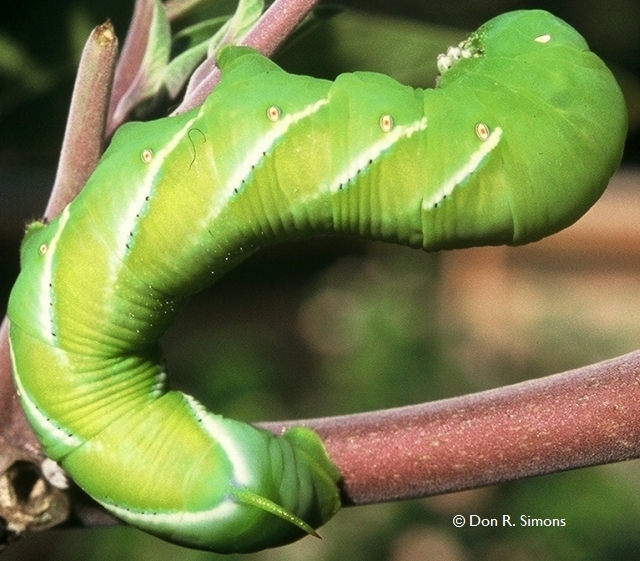 Unfortunately, the caterpillar of some species can be very destructive to agricultural crops and ornamental plantings.